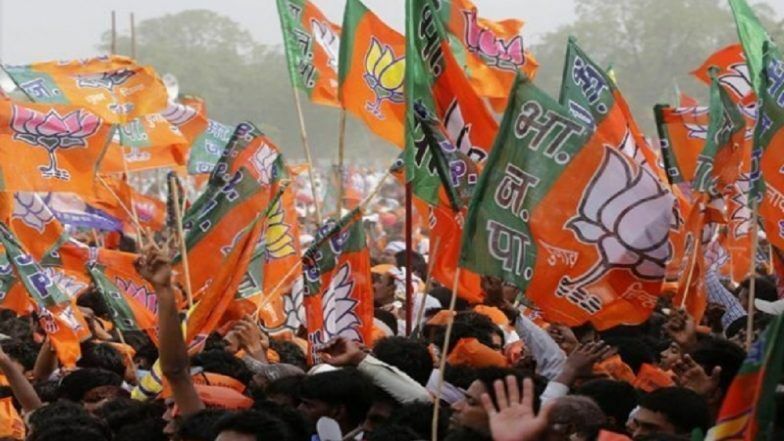 New Delhi, March 26: The Bharatiya Janata Party (BJP) has released list of candidates for four parliamentary constituencies in Assam, Karnataka and Uttar Pradesh for Lok Sabha Elections 2019. Out of the four seats, one is for the state of Assam, two for Karnataka, and one from Uttar Pradesh. The BJP also announced a candidate for one assembly constituency in Odisha. LK Advani Not Named in 1st BJP List For Lok Sabha Elections 2019, Amit Shah Replaces Him From Gandhinagar. The BJP gave ticket to Rupak Sharma for Nowgong parliamentary constituency from Assam. Ashwat Narain has been given a ticket from Bangalore Rural in Karnataka. The BJP has given ticket to Tejasvi Surya from Bangalore South, the seat which used to be represented by late Ananth Hegde, who passed away on November 12, 2018. Check Constituency-Wise Full List of Candidates Named by the BJP. Rajveer Singh Balmiki has been given a ticket from Hathras, which is a reserved seat for SC category. All the above named seats which go to polls in the second phase, on April 18. While the BJP has announced the candidacy of Sanat Gadtia from Bijepur seat in Odisha for assembly elections in the state set to take place this year.